Craving A Healthy Vegan Brunch Spot In Sydney? Heres My Top 8 For You All To Try! If theres one thing Sydney does well, its a good brunch. It definitely has somewhere and something for everyone. Most of the time, my weekend’s hardest decisions involve where shall we go for brunch and then once this decision has been made, its wow there are so many choices on this menu, what do I go for! I’ve gathered some of my favourite brunch spots here in Sydney, where you’ll be sure to start your day off right! From sweet to savoury, simple to creative but all round delicious, Sydney brunch is a must. From the decor to the colourful dishes, this place is the perfect spot for a weekend brunch. An all day menu that is a feast for the eyes as well as the stomach and is made up of some seriously delicious dishes. With a bustling atmosphere, it is a favourite amongst the locals but also that good that you will most likely also see that person you saw in bondi the other week. I’ve learnt that people do travel a fair way for a good brunch. One tip when visiting this gem is to be sure to get there early to beat the rush. I personally recommend the quinoa falafel bowl (minus the egg for me), the Hey Dahl or the coconut hotcake if you have a sweet tooth. Every Sydney person knows that bondi has some of the best brunch spots. Personally bondi gets a bit too busy for me that most of the time, I try to avoid it, but thats not to say I won’t go there for some good food. I hadn’t been to this little gem until recently when a colleague of mine took me there for a late brunch. Now I’ve heard the breakfast is great, however we went for the lunch menu, so perfect if you’re going for a late brunch or have already had something small earlier in the day. The salads are amazing; delicious yet nourishing. I personally love the Fattoush and the Pumpkin salad. Their coffee options are creative, colourful and delicious. From their lavender lattes to their pink velvet latte, you know you’ll be in for a treat with just the coffees alone. But lets talk about the food; with the whole menu catering for vegans and vegetarians, they use some of the best organically produced ingredients around. Each dish is instagram worthy, full of colour and made to look like a plate of art. My recommended dishes have to be either the pink super oats, the coconut french toast or the sweet potato quinoa burger if you’re going for a slightly later brunch. Away from the hustle and bustle of bondi or the CBD, is a yoga studio and cafe with a menu full of wholesome goodness. If you’re heading there for breakfast I would recommend the porridge, its like no other and if you’re going for a later brunch would go for the Spiced Kichari’s (i just take out the egg and cream and add in some avocado instead). Check out my full review of the cafe here. 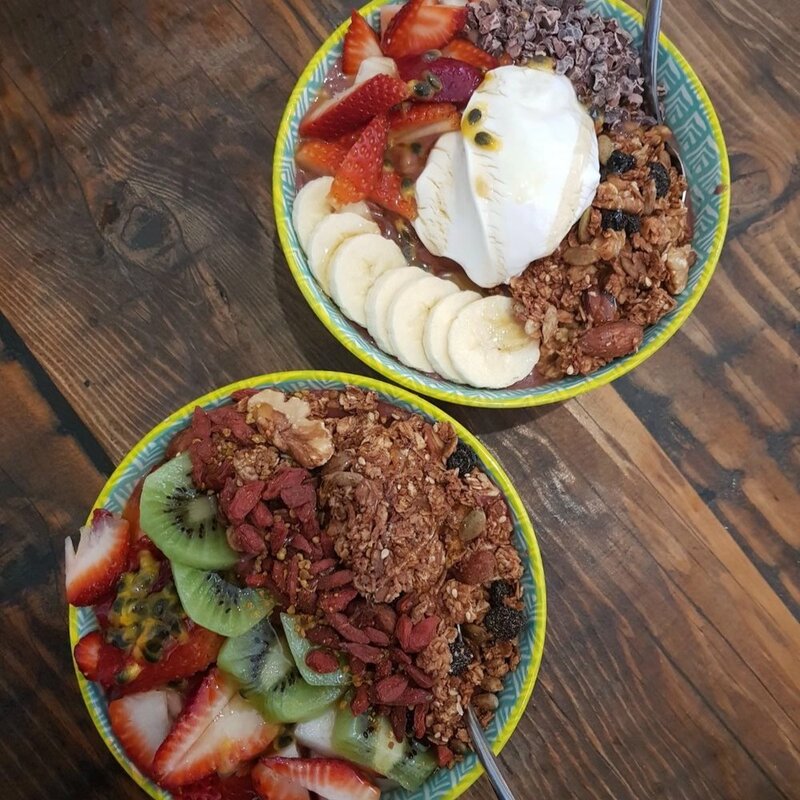 A tiny cafe nestled in Surry hills, so not too far from the CBD, that offers amazing bowls, smoothies, coffees and some delicious vegan treats that you can have in or takeaway. I’d recommend giving the smokey baked beans or the masala bowl a try. I’m not talking about the speedo’s that you see the men in bondi wearing (luckily) but the Speedo’s Cafe that is located down by the beach. They serve up everything from smoothie bowls to some of the best vegan pancakes around. Be sure to try the caramelised banana and chia vegan pancakes, as they are on another level (and you can even add cocowhip). This little gem caters for all those dietary needs with a menu that has something for everyone. 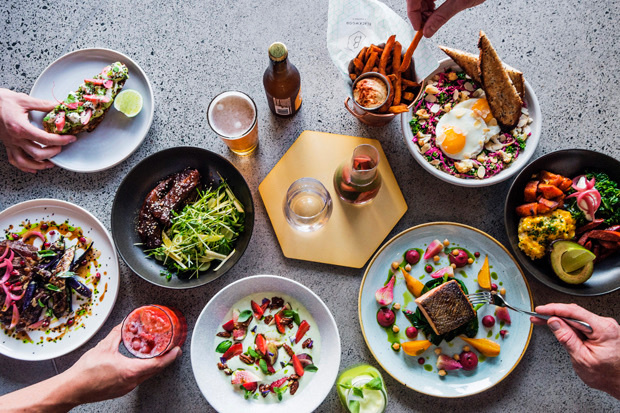 It is perfect for all those foodie lovers out there with their colourful instagramable dishes that can be enjoyed over some pretty amazing views of bondi. Its popular, for good reasons, so you usually see a crowd of people outside, whether they’re waiting for a table or waiting for their takeaway. Now one for all those smoothie bowl lovers. Serving up all things from acai bowls, superfood smoothies, breakfast bowls, organic coffee, kombucha on tab and delicious raw treats, your summer mornings are sorted. With an extensive menu of scrumptious acai and smoothie bowl options to chose from, you’ll be left wanting to return. Now the only down side is a lot of the bowls are not vegan because of the toppings, but every time I have been there, they have accommodated to that and allowed me a few changes, YAY! The Paleo bowl is up there with one of the best acai bowls I’ve had. Did I mention they have kombucha on tap? Another one for you Bondi locals. 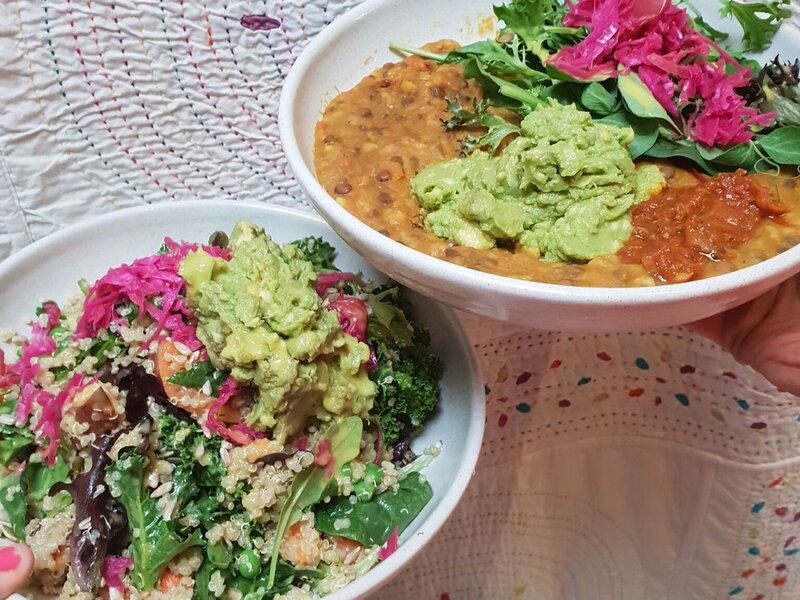 This cafe has a few good vegan options to chose from, whether you go for the savoury option with a vegan breakfast bowl or the sweet option of vegan waffles. If you’re going with a friend, my favourite thing to do is to get both and share; this way you get both a bit of savoury and a bit of sweet and to me that is an awesome way to start your morning. Either way, you’ll leave feeling satisfied. So these are just a few of my favourite vegan brunch spots around sydney, we’d be here all day if I listed out all of the places I’ve had a good vegan feast. If you guys have any vegan cafes that you personally love or recommend, please leave them in a comment below! You can also check out my 5 Top Vegan Restaurants In Sydney here. Let’s end this post with a question for you guys. If you had to pick between a smoothie bowl or avocado on toast, what would you go for?